How to call function from ".ts" file for button onClick event in tsx file? 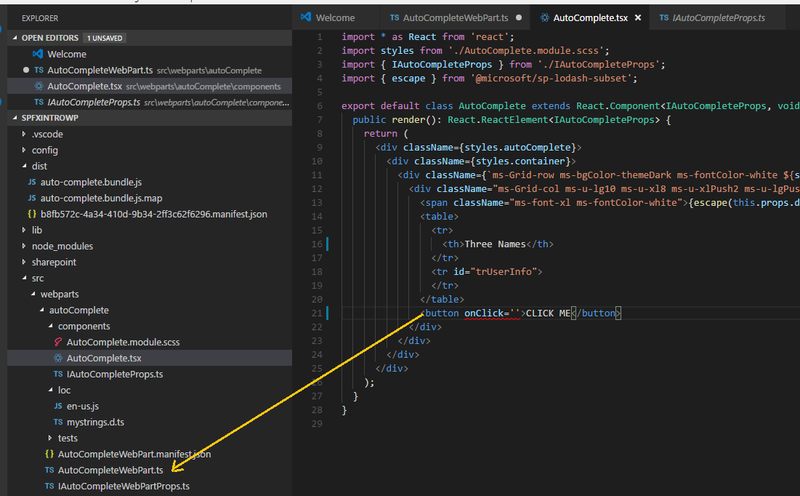 Add a property to your IAutoCompleteProps interface for your click handler. Then pass the function from the AutoCompleteWebPart into the interface as one of the component's properties. This adds the click event attribute to the button 'AlertMe'. On clicking it, the AlertMe method is called. Not the answer you're looking for? Browse other questions tagged spfx spfx-webparts react function button or ask your own question.